Jess Glynne was spotted at the BBC Studios in MediaCityUK in Manchester after appearing on BBC Breakfast last week. 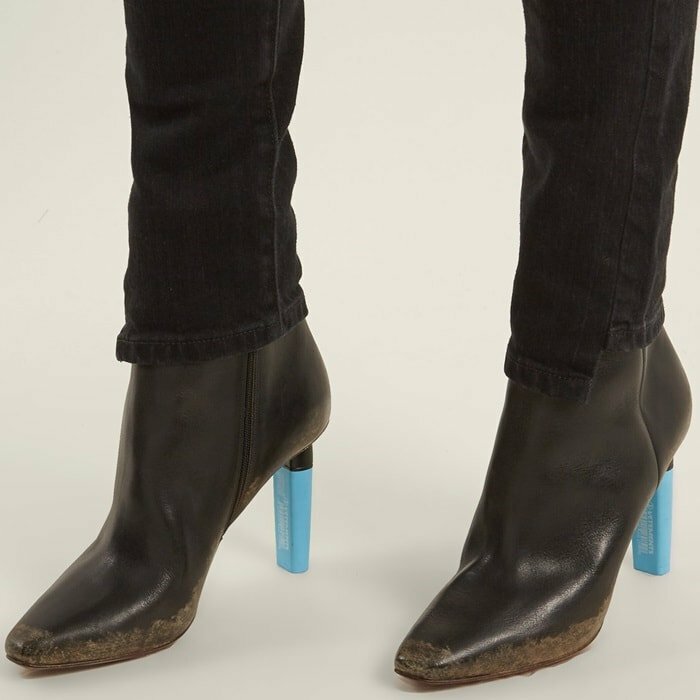 The 28-year-old English singer and songwriter did not fail to get attention in Vetements‘s cult black leather ankle boots featuring highlighter-shaped heels in blue and black with logo graphic in white ($384 – $1,352 at Matches Fashion and Ssense). If you think her heels are crazy, don’t miss these bizarre and weird shoes that will blow your mind. 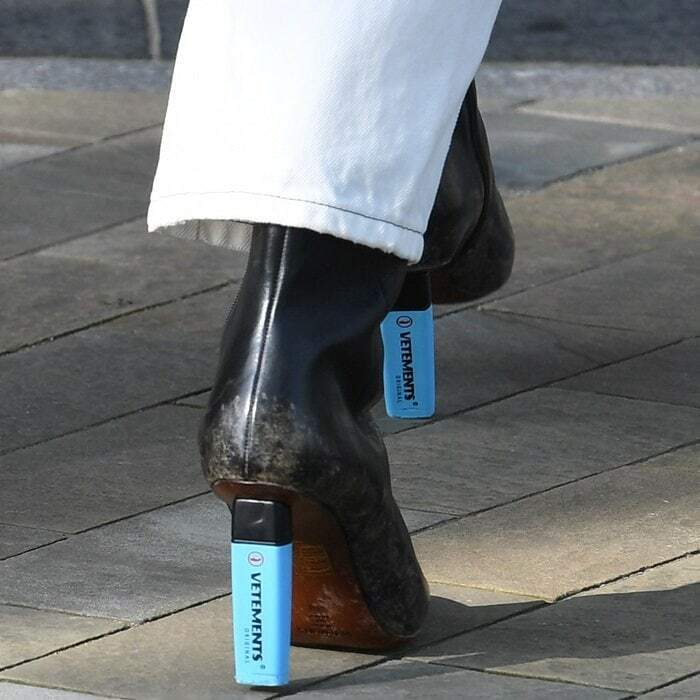 Also, who could possibly forget the shoes from Vetements’s collaboration with Manolo Blahnik? 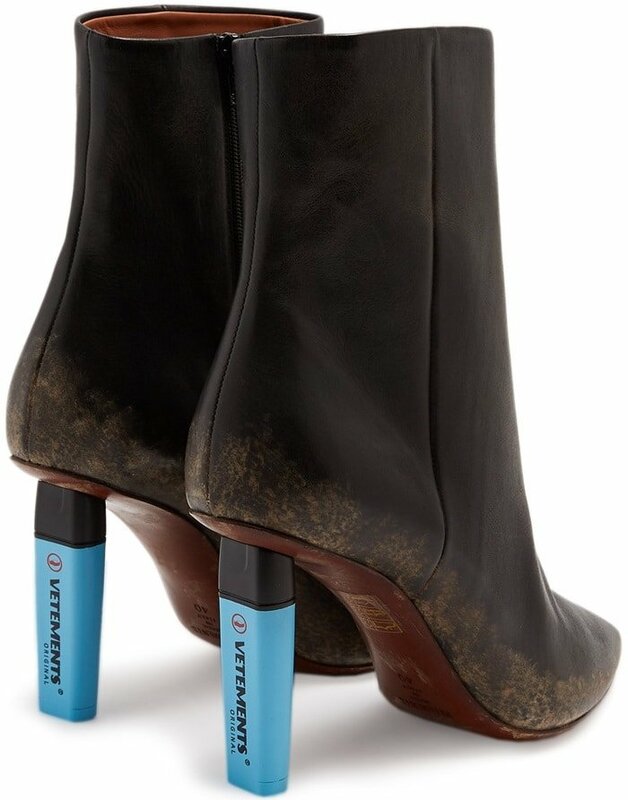 Vetements’s cult black leather ankle boots are a necessity for the style set. 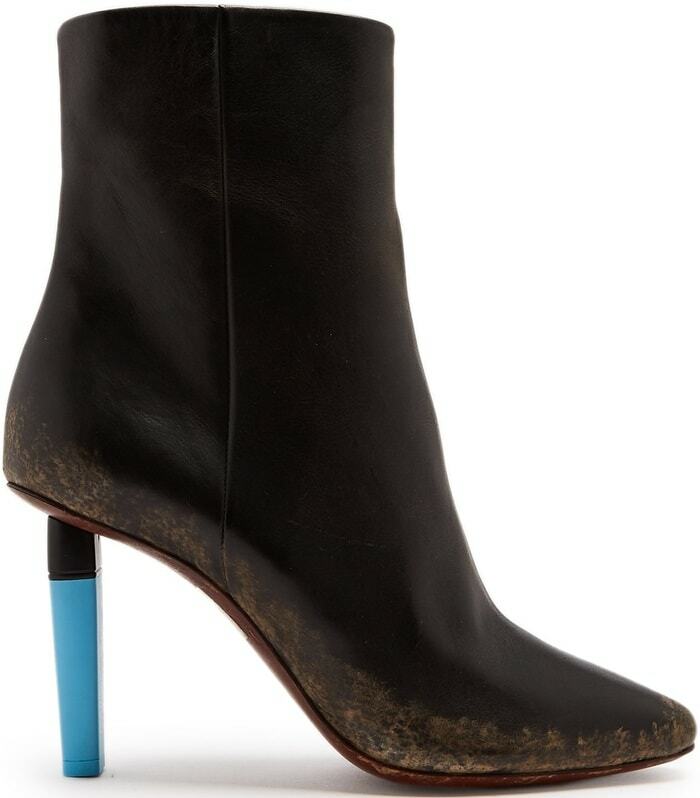 This black lightly grained-leather pair is strikingly set on a neon-blue highlighter-shaped acetate heel, then detailed with a tonal-brown mud-effect base and sole for a subtle lived-in feel.